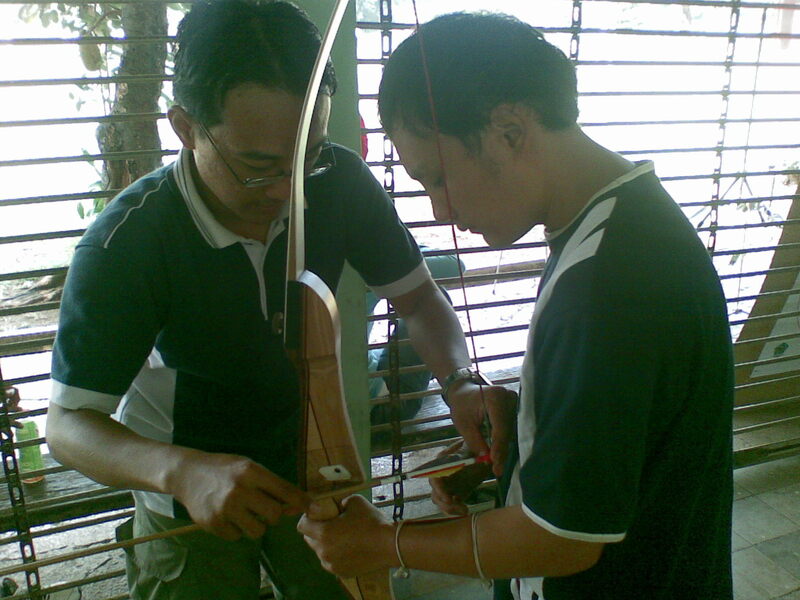 Play and Pay (Rp 100k/visit): To learn basic archery for 2 hours. 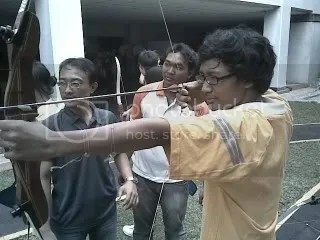 Team building and focus to the target. 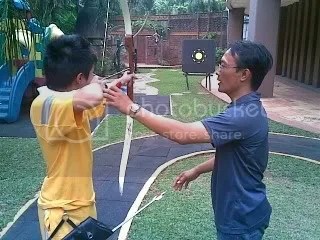 We also rent archery equipment for commercials, events, photography. If your community would like to try archery, give us a call today! 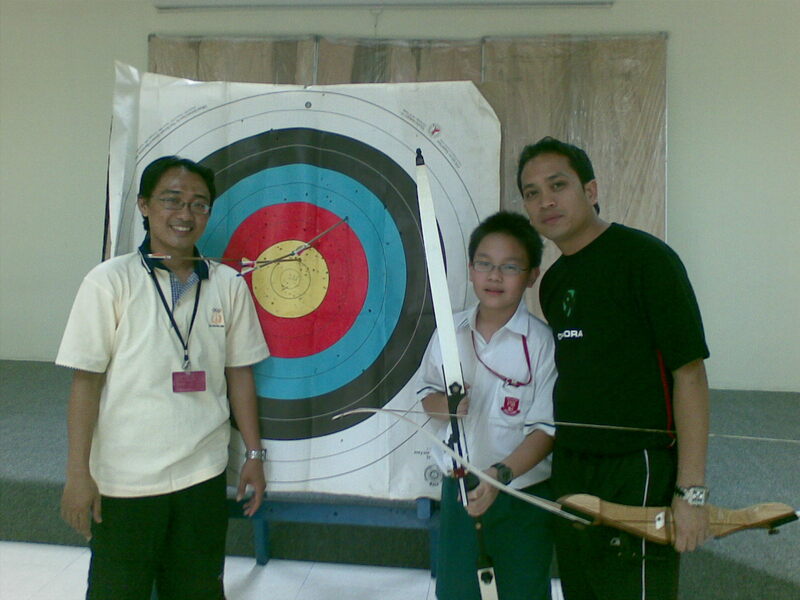 From July – October 2009, Jakarta Private Archery is conducting an archery program for Binus High School at Simprug Jakarta. Here are some pictures of the event. If you and/or your school would like to try archery, give us a call and we’ll be more than glad to assist you! 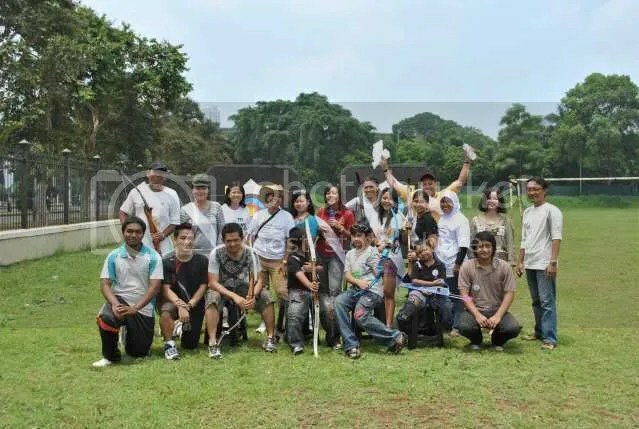 A few weeks ago Jakarta Archery was interviewed by Ms. Katrin Figge, a journalist for the Jakarta Globe Newspaper. Here’s the full scoop. guessed badminton, the national sport, you would be incorrect. medal — a silver — in 1988 at the Summer Olympics in Seoul. medieval times, or Legolas in “The Lord of the Rings” movies. Senayan Sports Complex in the city’s south. 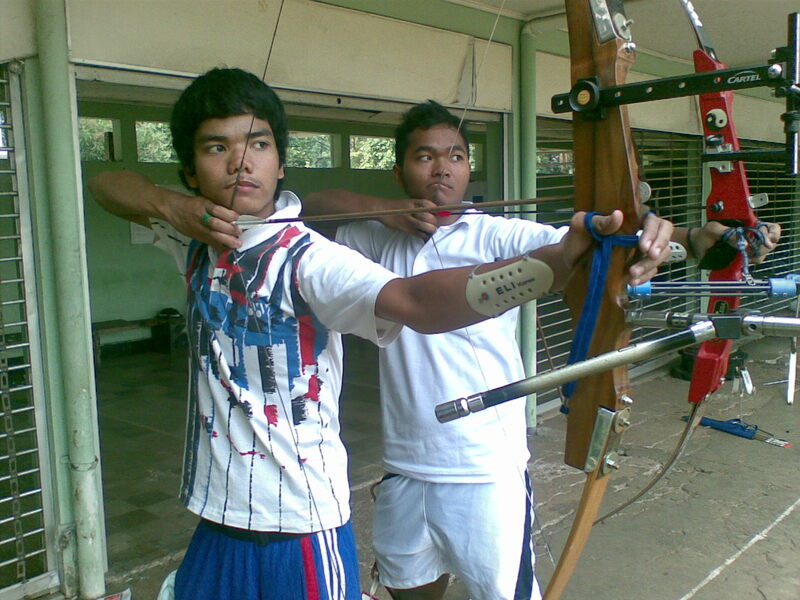 Danang, an archery coach, spends almost all of his free time on the field. When he talks about the sport, it sounds like an addiction. Dante, a student of Danang’s, helps him promote the sport. “I was really bad,” he admitted. how to bend it and how to release the arrow. The target they shoot at is only 10 meters away. important thing is your form, your movements,” Dante said. Patience is the key — for both the students and the coach. Despite his years of experience, Danang has an unassuming coaching style. archery field with her entire family it seems, the right moves. that are designed to reduce the tension in their bodies. the fun factor shouldn’t be overlooked. Archery became a popular sport instead. The club has both local and expatriate members — but not many of either. is the fact that the equipment is rather expensive,” Dante said. both for groups and individuals. would be happy to give them a free trial,” Dante said. 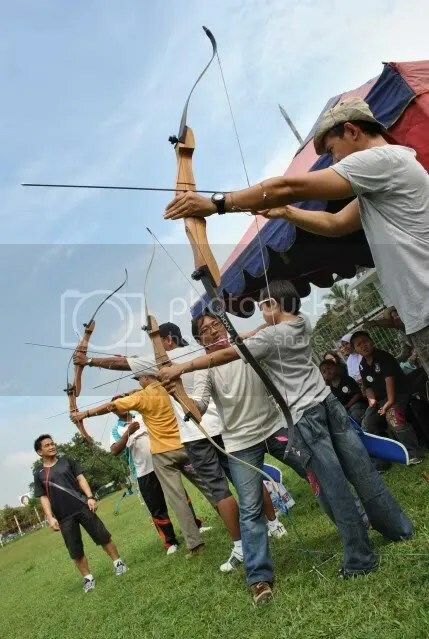 If you are a local of Jakarta, Indonesia resident (or just simply visiting) and wish to try something unique and different this weekend, why don’t you try Archery? It’s a really fun sport both for men & women. It’s more than just a simple aim, pull & release, some key features are focus and stability; the most important thing is Patience! 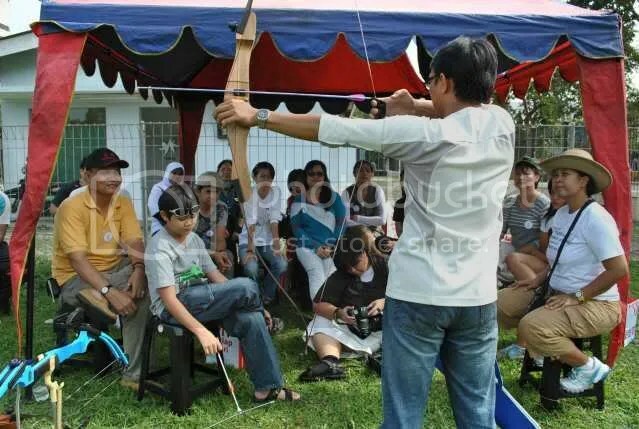 Located in Senayan, the heart of Jakarta “Jakarta Archery” is a club of Recurve Archery enthusiasts from different age & backgrounds, from your average beginners to the pros of the Indonesian archery team. 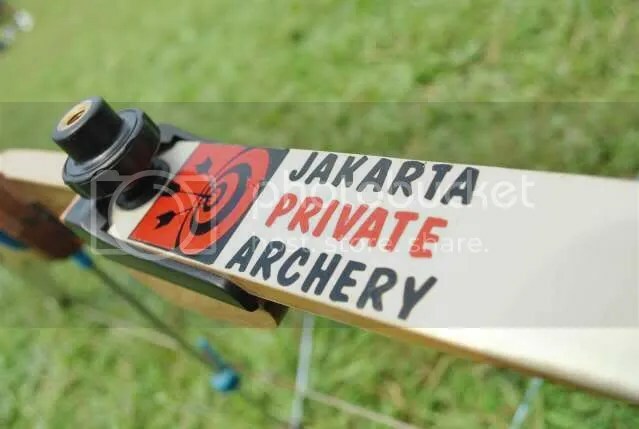 Trained by the elite coaches of the Jakarta Province Archery Association, you will be sure to have access to the best training equipment and exercises their is to offer. 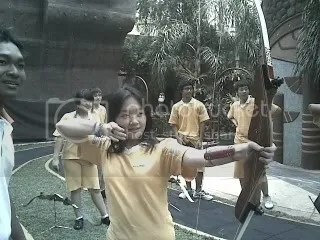 Jakarta Archery also work with schools in providing Archery training. If you have no archery know how whatsoever and wish to try, Jakarta Archery gives FREE (yes, no hidden charges) try out to ANYONE. 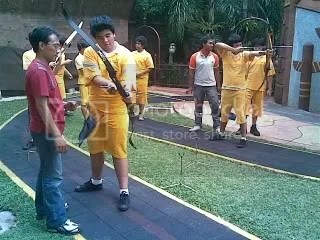 No matter what your background is, don’t hesitate to try Archery. Anyone, ages 10 and over. Where is the archery field? 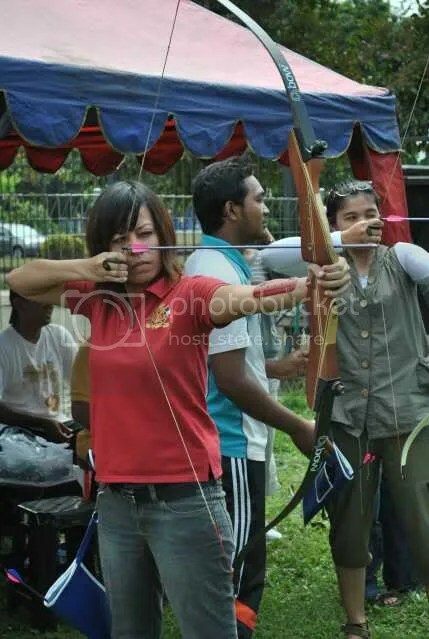 The archery field is in the Senayan Sports Complex, enter via gate 7; across the Taman Ria complex. 5 meters after receiving your car ticket, turn right. Just bring your sport shoes & a spare t-shirt. Archery equipment will be provided. 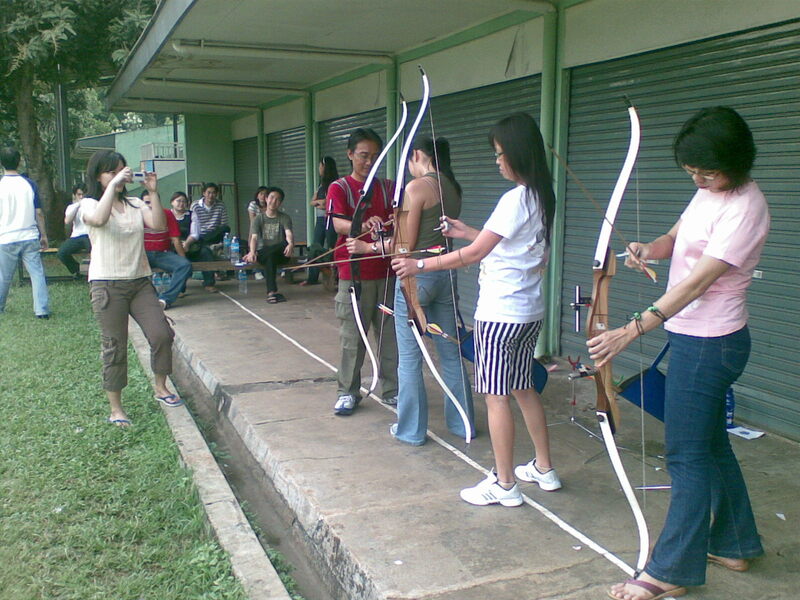 What kind of activities does Jakarta Archery perform? 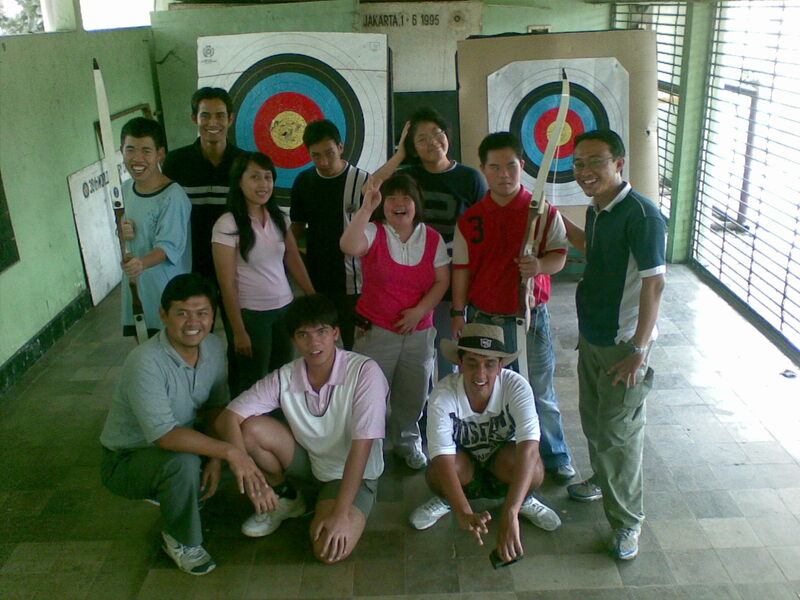 Besides daily archery training in Senayan, JA also does in-house archery training for schools, companies, NGOs. JA has also assisted in a few marketing events & several TV advertising campaigns for different products. I’ve done a free trial, whats next? If you are interested in a regular archery training program, you may arrange an archery training session with our coaches. Most common is 2 times a week. 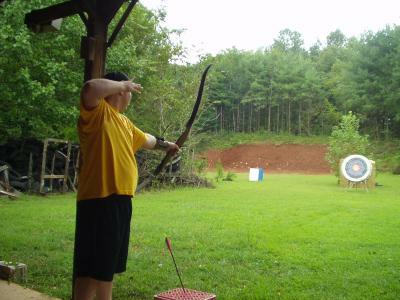 You will be taught on how to handle a bow, aim, stabilize and shoot. The normal distance for beginners is 15m. What is the price for an archery lesson? 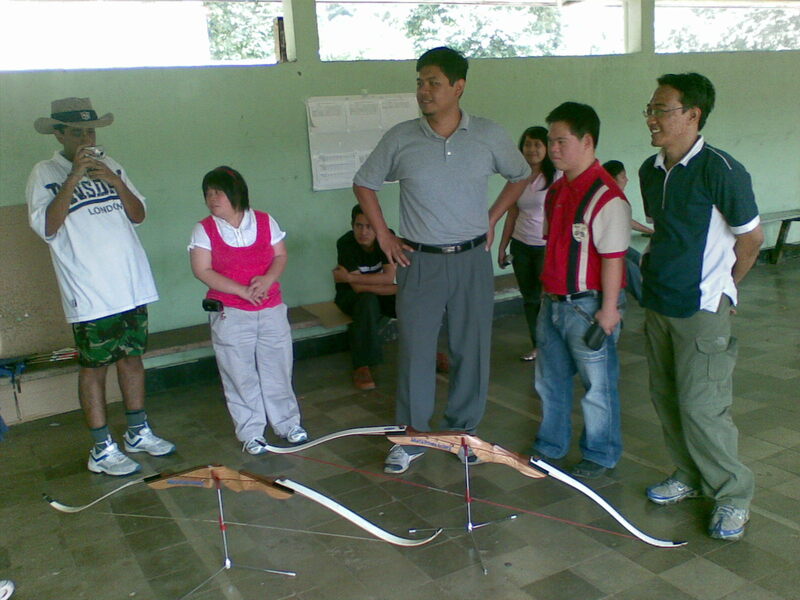 Coach Danang (left) conducts an archery open house at PBS Singapore School at Kemanggisan, Jakarta.